At this Price presents excellent value for money. Grab the opportunity before someone else!!! The image of spending quality time with your family, having great times together, as they grow up, at a holiday home in the hills; Is this what you are seeking? 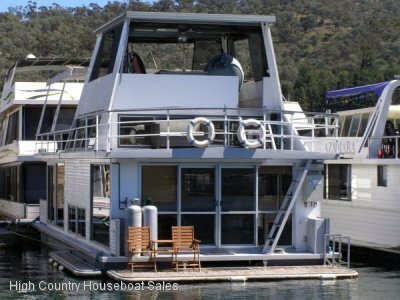 Then bring this image into a sharper focus on a quality floating holiday home on magical Lake Eildon surrounded by National Parks, mountains & forests. Sharper Image is a quality family holiday home. 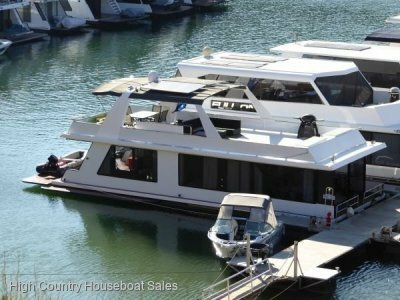 She has 5 good bedrooms (incl Master with ensuite), great relaxation entertainment areas for each generation and sun deck with remote helm up top. With twin Mercruiser motors (motors & legs serviced recently) Sharper Image will be easy to handle and manoeuvre. Recently slipped with new external cladding & decks repainted, pontoons serviced and plumbed ready for a GWTS, the big maintenance money has been spent. Plus with new carpet and drapes, Sharper Image has a whole new lease of life. 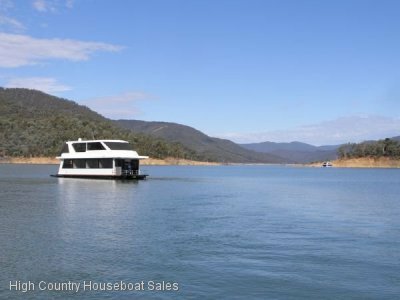 Sharper Image is a quality family holiday home on the water waiting for your family to enjoy the Forests, the Mountains, the Magic of Lake Eildon. 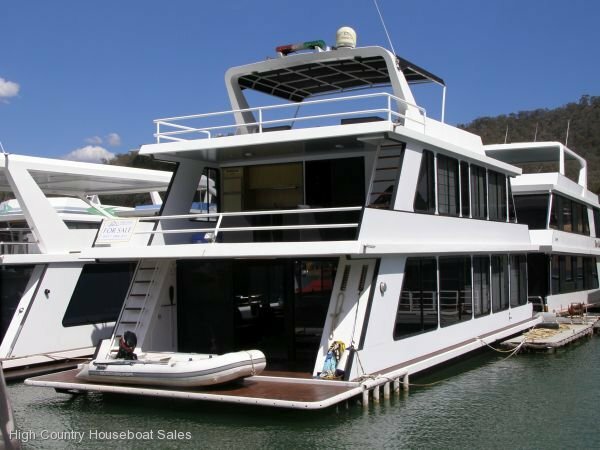 For More Detailed Information & Extra Photos Please Click On Enquire About This Boat. BR1: Double bed; Front view; Wardrobe. BR2: 2 x single beds bunk; Cupboard. BR3: Master with walkaround King size bed; Front view; Side drawer & lamps; Dresser cupboard; TV; Wardrobe; Ensuite, Shower, Toilet, Vanity. BR5: 2 x single beds bunk; Side cupboard. Bathroom: Shower; Toilet; Vanity; THOR Elite washing machine. Ensuite, Shower, Toilet, Vanity. 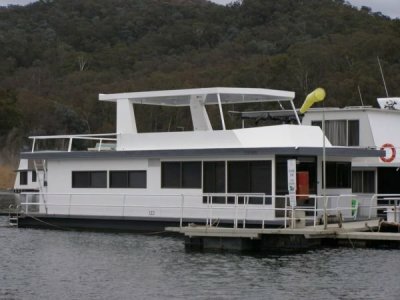 POWER: Onan Marine GenSet 8kva; Motor start battery; Exide Energy Store-GEL 6RPg700 batteries x 2; MITRO 1000watt series Inverter; Plasmatronics PL20 Solar Charge Controller; Solar panels x 3; Twin Mercruiser 4.3lt EFI; Motor start batteries x 2.